Plant cells possess two more genomes besides the central nuclear genome: the mitochondrial genome and the chloroplast genome (or plastome). Compared to the gigantic nuclear genome, these organelle genomes are tiny and are present in high copy number. These genomes are less prone to recombination and, therefore, retain signatures of their age to a much better extent than their nuclear counterparts. Thus, they are valuable phylogenetic tools, giving useful information about the relative age and relatedness of the organisms possessing them. Unlike animal cells, mitochondrial genomes of plant cells are characterized by large size, extensive intramolecular recombination and low nucleotide substitution rates and are of limited phylogenetic utility. Chloroplast genomes, on the other hand, show resemblance to animal mitochondrial genomes in terms of phylogenetic utility and are more relevant and useful in case of plants. 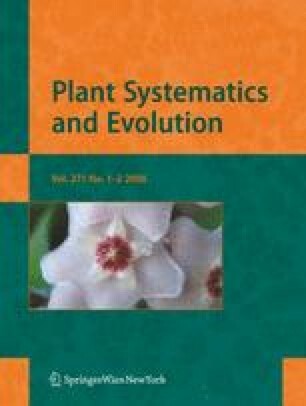 Conservation in gene order, content and lack of recombination make the plastome an attractive tool for plant phylogenetic studies. Their importance is reflected in the rapid increase in the availability of complete chloroplast genomes in the public databases. This review aims to summarize the progress in chloroplast genome research since its inception and tries to encompass all related aspects. Starting with a brief historical account, it gives a detailed account of the current status of chloroplast genome sequencing and touches upon RNA editing, ycfs, molecular phylogeny, DNA barcoding as well as gene transfer to the nucleus.